COATINGSPRO SURFACEPREP 2015 7 Blastrac NA Kevin Gardner National Sales Manager (800) 256-3440 kevin.gardner@blastrac.com www.blastrac.com preparation projects. Our systems provide reduced pollut- ants at the job site, reduced noise and allow for multiple tasks to occur at the same time. We ofer more surface preparation technologies and expertise than any other manufacturer. Contact Customer Service at 800-256-3440 for details. Blastrac offers a wide line of equipment for surface preparation. 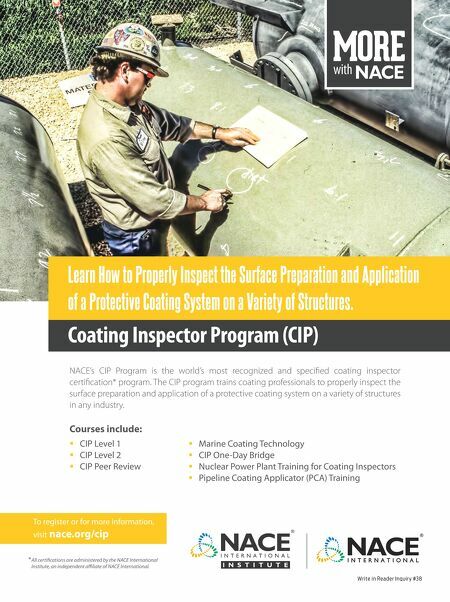 Shot blasting , scar if y ing , scraping , g r ind- ing and dust col lection systems are used by professiona l contractors and are recommended by coating manufactur- ers for a w ide range of applications. Blastrac saves contractors both time and money on jobs like these: concrete repair and restoration, general construc- tion, fooring, painting & coating, bridges & highways, airports, remediation, demolition & renovation, utility, marine/shipyards, storage tank maintenance and others. Blastrac machines prepare concrete, steel and asphalt surfaces. Shot blasting leaves the surface immediately ready for the application of coatings or overlays, eliminating drying time and costly disposal procedures associated with other surface preparation methods. Shot blasting produces the highest bonding character of any surface preparation method. 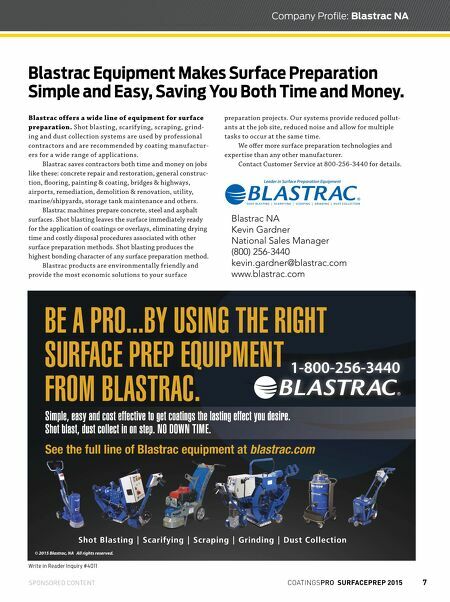 Blastrac products are environmentally friendly and provide the most economic solutions to your surface Company Profile: Blastrac NA SPONSORED CONTENT Wr i te in Re ad e r In q u ir y #4011 Blastrac Equipment Makes Surface Preparation Simple and Easy, Saving You Both Time and Money.